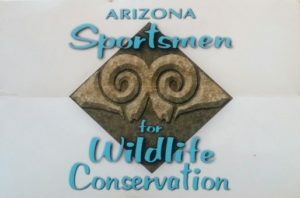 AZSFWC is an umbrella organization that serves wildlife conservation and sportsmen’s organizations throughout the state of Arizona. Our membership is diverse yet focused on all things important to wildlife, its habitat and to furthering our hunting and angling heritage for future generations. Eligible to participate in monthly meetings of the AZSFWC. Learn from other organizations and become an important link to other like-minded groups. By joining AZSFWC you will be kept abreast of the most recent news affecting wildlife and sportsmen and ensure that your members are educated on issues of importance to your organization’s mission. Our newsletter, The Sportsmen’s Connection” goes out to nearly 20,000 sportsmen and women statewide. Each organization will be granted one vote via the organization Representative or Alternate Representative. The Representative will serve as a Director on the AZSFWC board and should attend all meetings (in person or via teleconference). Alternate Representatives are also encouraged to attend, and will serve as acting Director in the absence of the Representative. APPLY HERE. Associate Members – Must be an organization whose mission or purpose is consistent with AZSFWC or as otherwise waived by a two-thirds (2/3) vote of the AZSFWC Board of Directors. Associate Members have no voting rights and are not eligible to apply for AZSFWC License Plate grants. APPLY HERE. Affiliate Members – Must be a business or company whose mission or purpose is consistent with AZSFWC or as otherwise waived by a two-thirds (2/3) vote of the AZSFWC Board of Directors. Affiliate Members have no voting rights and are not eligible to apply for AZSFWC License Plate grants. Click here for more information on this program. APPLY HERE. 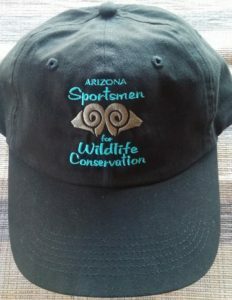 Free Member – Provide your contact information* and we will send you an AZSFWC decal. *AZSFWC does not sell or share your contact information.